Looking to make your upcoming vacation a truly memorable one by meeting someone abroad? If you are intimidated by the process, don’t be – it is often much easier to find ladies to hang out with in popular travel destinations than back at home. In this article, we’ll share tips that will help you find female companionship during your time overseas. No matter where you are in the world, the procedure behind meeting girls is fairly similar to what you are used to at home. If you want to pick up women in a bar on the road, though, it helps to have advance intelligence. Chat up your flight attendant and ask them where they go for fun when they are laid over in your destination – these people party as hard as they work, so following up on their suggestions will lead you to places where women are eager to meet attractive strangers. Failing this, hitting up hotel or hostel bars will put you in touch with fellow travelers looking to have a good time. Additionally, asking concierges and hostel staff where the best nightlife districts are in your destination will lead you to uninhibited joints where the emphasis on meeting up and pairing off for an evening of dancing and fun. When you are abroad, your status as a foreigner often makes you an attractive prospect. Your accent, perceived status, and the fact you will soon be gone are all factors which play in your favor, so don’t fail to use them to your advantage. Why are these aspects so effective? Women are used to men in their area looking, sounding, and acting in a certain way – when someone like yourself arrives on the scene, it makes you a refreshing alternative to what’s available. Further, certain cultures attribute a higher status to people from certain parts of the world – for example, in Asia, men from Europe and America are sought after due to their perceived wealth. Lastly, being a traveler makes you a convenient hookup for women who want to have a bit of fun without having to deal with someone wanting to turn a one night stand into happily ever after. Knowing you won’t be around afterwards makes it highly unlikely they will be pursued by some dude with stars in their eyes. This reduces potential awkwardness after the fact, increasing the odds she’ll get together with you. Want to increase your odds of making a meaningful connection while on vacation? Chat up women while partaking in an activity which interests both parties. For example, if you love diving, book a trip soon after your arrival. On the day you head out, initiate contact with any girl which strikes your fancy, and find ways to interact with them throughout your day on the water. 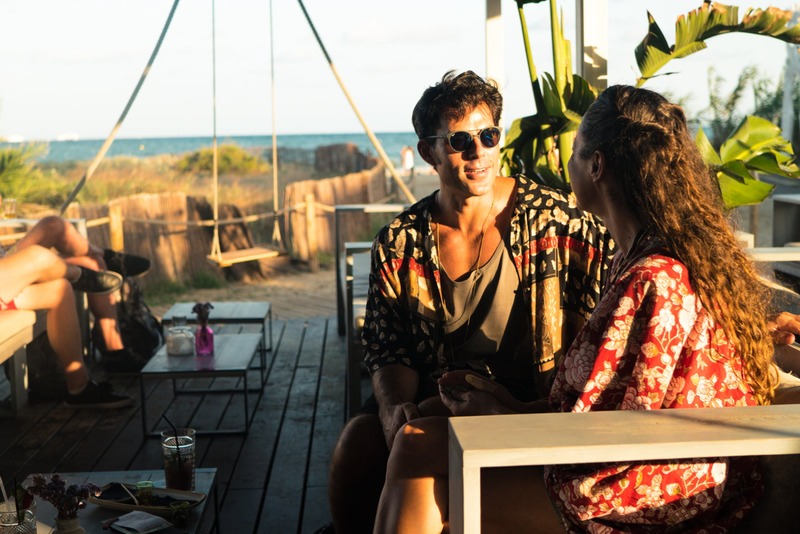 After you return to land, ask them out to dinner or to the bar later that evening – having established a rapport with them earlier in the day means they will take you up on your offer more often than they will decline it. Thanks to advances in mobile technology, it has never been easier to meet women, no matter where you happen to be in the world. The advent of Tinder has made this possible, as it allows you to find women close by who are just as eager to hang out as you are. After downloading and inputting your vital info, all you need to do is swipe left or right depending on the profiles which come up. Not interested? Swiping left brings up new pictures until you find someone you like, at which point you can swipe right to indicate you dig them. In good time, you’ll find out who swiped right on you, indicating mutual interest. At this point, fire up your texting game and work out a meeting place so you can get to know each other better.